Hand analysis: Nathan @BlackRainPoker Williams discusses range reading in a hand of 6-max. Zoom. Call or fold your straight? Decide what you'd do when river pairs the board and your opponent shoves. 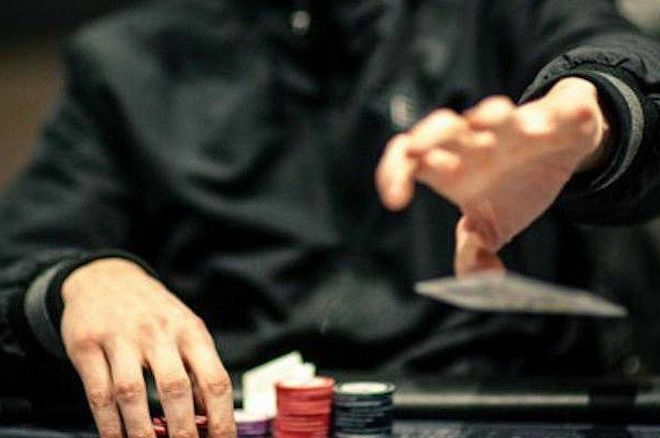 Something we talk about a lot in poker is the concept of putting a player on a "range" of hands. A range, if you do not know, refers to the entire spectrum of hands a player can show up with in a given situation. One great thing about the micro stakes in particular is that most players play pretty transparently. What I mean by this is that they do not mix up the lines that they take with their good hands and bad hands very well. Therefore it is often very easy to put players on this level on a given range. This hand took place at a micro stakes Zoom (or "fast-fold") table on PokerStars, which means we have little-to-no reads on our opponent. For anyone who has played fast-fold poker before like Zoom, you know what I mean. You so rarely see the same players that it might take weeks or months to develop any kind of reads or stats on them if you are using a HUD. That is the case in this hand. An unknown player opens under the gun and we have to make a decision with pocket tens in the big blind. My default strategy is just to call here in order to prevent a reraising war from out of position with a hand that is great but not "let's get all the money in right now" great. But the person who sent me this hand chose to three-bet instead. Which, while perhaps not optimal versus an unknown opponent in this situation, is still okay. Both the flop and the turn are fairly standard in my opinion. We should continuation bet this flop a fair amount of the time and definitely follow up on the turn when we hit the straight. The interesting part of this hand is the river when the board pairs. I agree 100 percent with the decision to check. Now what do we do when our opponent puts us all in? Seriously, that is about it. This is the standard range that most competent regulars will open with from this position in low (or micro) stakes 6-max games. As noted, we don't know anything about this particular player, but since more players are regulars these days than recreational, it is reasonable to assume this to be our opponent's preflop range. From here we can narrow down his range even further by considering how the hand has played out. I would expect pretty much all of his small and middle pocket pairs (pocket eights and below) to fold when we make a c-bet in a three-bet pot following a flop of . And if somehow any of these hands did not fold on the flop, then they certainly will fold after we barrel the king turn. If you are following along, his entire range on the river has a solid piece of this board, making him one pair, two pair, trips or a full house. In other words, he never has a complete bluff here when he puts us all in on the river. The only question is would he be betting with any of the hands that we still beat on the river (i.e., one-pair and two-pair hands)? I would argue no. All he has to do is hit the check button with these hands on this extremely scary board and take his free showdown. That is what most players will do, especially at these stakes. Therefore, this means that his betting range in this spot consists only of trips and full houses, both of which we of course lose to. That is why I like a fold here. How would you play this poker hand? Would you make a tough fold on the river here or are you calling? Vote in the poll, and let me know more in the comments below. Making the Effective Nuts with Ace-King... and Getting Raised!